With current projections suggesting further temperature increases in the UK, wetter winters, drier summers and more extreme weather events, how are birds coping with our changing climate? 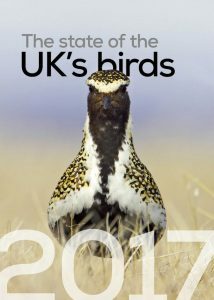 The latest State of the UK’s Bird (SUKB) report, released today, provides some insight in to the effects climate change is having on many of the UK’s birds. Predicted shifts in suitable climate conditions may mean we lose some of our rarer breeding birds, such as the Common Scoter (which is already declining due to other factors), whilst at the same time, other species are moving in, such as Night Heron and Black-winged Stilt. Some species, such as Chiffchaff and Nuthatch, are expanding their range northwards as conditions become more suitable, whilst others, like the Swallow, are changing their timing of migration and egg-laying, arriving and breeding earlier in the UK. And for some seabirds, such as Shags and Kittwakes, the rising sea temperatures are affecting their food supply leading to a decline in productivity and survival. Whatever the resulting effect, we need to help birds adapt to climate change, and SUKB presents a few of the possible ways in which we can. The report also provides an update on recent surveys from House Martins and Capercaillies in the UK, to Cahows and Northern Rockhopper Penguins in the UK Overseas Territories.